BPMN View is a simple free tool to view and print business process diagrams in a popular BPMN format. New version of BPMN View offers ability for interactive view of content for every focused BPMN element in your model through complete hierarchical tree of all member elements with their properties. 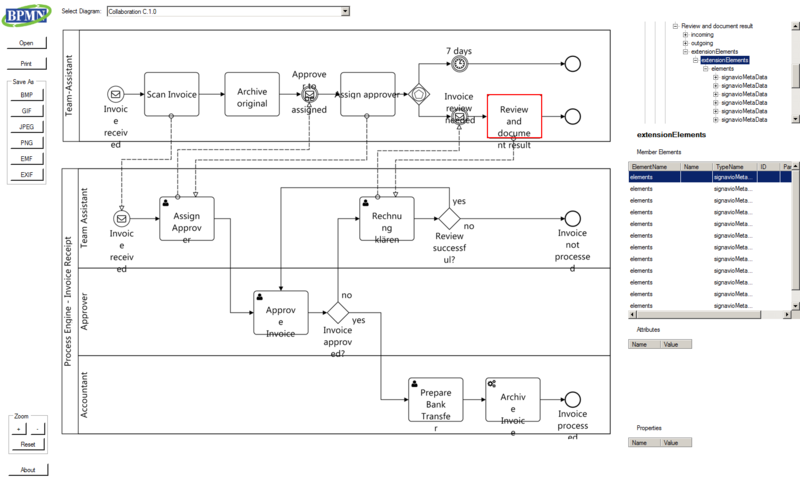 Quickly inspect internals of any BPMN model with precise context of BPMN View!